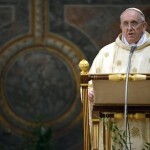 Pope Francis appointment of an advisory board raises expectations for reform Pope Francis: will he be a reformer? 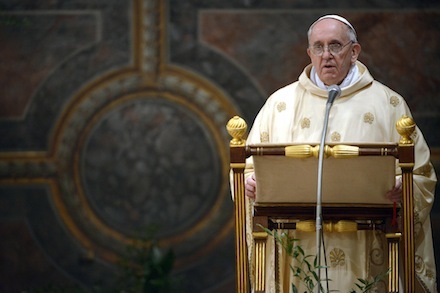 Pope Francis won everyone over with plain, straightforward and clear homilies. Every morning, Vatican employees rush to outrun each other in order to attend the Mass the Pope celebrates in Domus Sanctae Marthae, where he’s still residing. And everyday L’Osservatore Romano – the Vatican daily newspaper – reports on the Pope’s everyday “parish priest style” homilies. This is unprecedented in the history of Church. John Paul II used to celebrate Mass in the private chapel at the papal apartment in the Apostolic Palace. In fact, John Paul II’s Masses were never private celebrations: 30 to 40 people were generally invited to attend, and Arturo Mari –John Paul II’s official photographer– rose up very early every morning to take pictures of the Mass. But there was never any record of John Paul II’s homilies or of the conversations that took place right after the Mass. The most informal John Paul II’s magisterium is that of his conversations around the meal table at lunch time, or that of the press conferences he held in the plane during international trips (collected in a book by Angela Ambrogetti, Compagni di Viaggio). Pope Francis, on the other hand, lives completely in the midst of the media’s pervasive presence. He does not seem aware of it. He is used to be around people and to give people a clear and simple message. Pope Francis pastoral messages are all firmly established on the principles of “walking, building, confessing” that he alluded to in the first Mass he held as Pontiff, in front of the cardinals. We should take into account the situation in Argentina –and more generally in Latin America– to really understand what Pope Francis is talking about. In a continent where sects are gaining an ever greater number of followers, there is a need to continuously affirm that salvation can be reached only through Jesus. Since the new movements gain followers by promising work and prosperity, there is a need to keep the Church away from the temptation of trying to meet this demand by running amok offering services and creating new offices. Clodovis Boff words echoed Joseph Ratzinger’s concerns. As Prefect of the Congregation for the Doctrine of the Faith, in the eighties, Ratzinger issued two instructions regarding Liberation Theology: the first to condemn its Marxist-materialistic aspects, the second to hail its positive arguments, from the fundamental option in favor of the poor to its focus on the human person. This second instruction (the Libertatis Conscientia) can perhaps be considered the first social encyclical of the future Benedict XVI. This ante litteram social encyclical is in some ways completed by Dominus Iesus, an apostolic letter issued by Joseph Ratzinger during the 2000 Jubilee. Dominus Iesus was the subject of controversies and polemics, yet it is skillfully written on the basis of Second Vatican Council documents to reaffirm that salvation can be reached only through Jesus. With the letter –unremittingly defended by Pope John Paul II– Ratzinger wanted to put some order in a Church that was relativizing her own faith in the name of interreligious dialogue. This risk was evident in the interreligious meetings of Assisi, raising concerns that these egalitarian gatherings of religious leaders, resembling an odd UN for different faiths, could lead to confusion and deprive the Church of her mission to propagate the Gospel. In that same time period, Jorge Mario Bergoglio was bringing order to his Buenos Aires diocese, which was in a moral and financial meltdown. A peculiar Jesuit who spoke plainly, Bergoglio was – according to John Paul II and his circle – the only person capable of giving Argentina’s faithful a new notion of Church. That plain oratory has become the program of a Pontificate. Disappointing those who expected a doctrinal change of course, Pope Francis has reverted to the arguments of Dominus Iesus four times in the last week, while at the same time issuing a warning about the dangers of ecclesiastical careerism, which also was one of Benedict XVI’s pontificate main themes. The MONEYVAL report on the Holy See/Vatican City State paved the way for a reform of the IOR and of Vatican finances. But this reform –which is currently under way– is aim at strengthening (rather than dismantling) the Holy See’s financial system, make it more transparent and preventing new scandals. It is unlikely that Pope Francis’ remarks were meant as a criticism of an institution that directs 80 per cent of its profits to missions, Catholic schools and hospitals all around the world. Furthermore, the IOR had actually helped the then Archbishop Bergoglio to save the Church of Argentina from economic meltdown. Ultimately, the April 24 homily echoed once again the main themes of Dominus Iesus. Looking again at what the Pope actually said –and leaving aside speculations about what he supposedly meant– Pope Francis did not seem to be particularly interested in the «organizational» aspects of a Curia reform. There can be no Curia reform if there is not a return to Jesus first. Returning to Jesus seems to be Pope Francis’ pastoral program. He has tasked the management of the technical and practical aspects of the reform to a group of Cardinals who are friends of his. Pope Francis knows that what is ultimately expected of him is not a management reform. He was elected to take the Church out of her self-referential mode, since this was at the center of his remarks during the pre-conclave meetings, remarks that led the cardinals to vote for him. Just barely after a month of pontificate, it is evident that there is a need to protect Pope Francis teachings from being trivialize by the media. Otherwise, his message could be misused and abused. It happened with respect to the IOR. It could surely happen again.